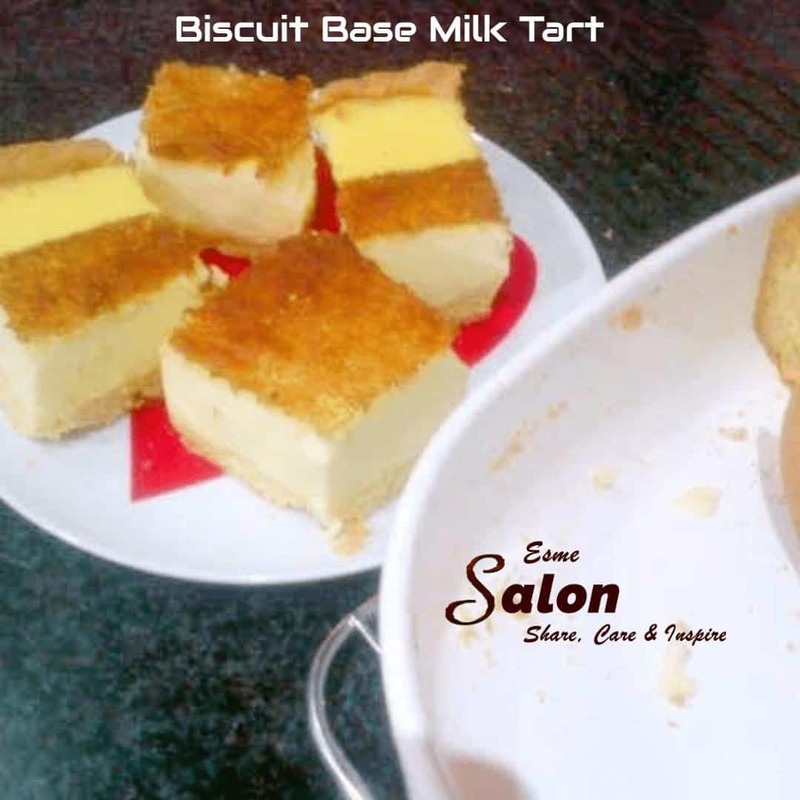 Good, delicious and famous and classic South African South African Milk Tart, and melktert. A very traditional and typical South African dessert consisting of a sweet pastry crust, filled with a mild, creamy custard of milk, flour, sugar, and eggs, baked in a round pie tin and dusted with cinnamon after baking. Stick cinnamon and 3 cardamoms in a pot and bring to boil. When cool whisk in 9 XL eggs 1 at a time. Pour mixture through a tea strainer. ☆ Roll your biscuit dough between 2 plastic sheets and line out the pyrex dish.